Hogue PolySwivel sling swivels are manufactured from a high-strength polymer for maximum strength and durability. In fact, they have a breaking strength far in excess of the force normally required to pull apart conventional steel swivels. They will not rust and are super quiet. The quick release stud easily attaches to standard swivel studs. 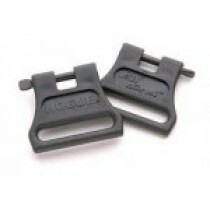 Poly swivels are a perfect addition to your existing stock or your new Hogue OverMolded® stock. 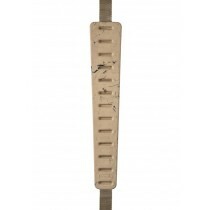 Available in two sizes to fit 1" or 1 1/4" sling straps. 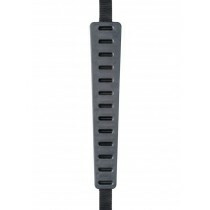 Our strong Nylon Sling with the OverMolded® synthetic rubber shoulder pad provides a comfortable, secure carry of your favorite rifle or shotgun. We utilize a patented molding method, giving the pad the slight stretch necessary to eliminate rifle or shotgun bounce as you walk. The pad and nylon sling are completely waterproof and the premium UV resistant materials remain flexible through years of dependable service. 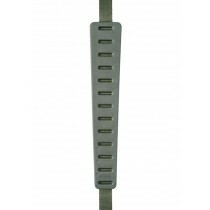 Easy-slide polymer buckles won't mar stocks while providing simple quick length adjustment--and they are so easy to install! 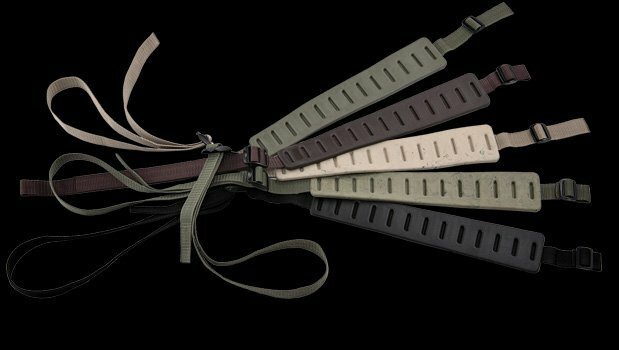 The Hogue Nylon Sling works with Hogue Poly Swivels or any 1 inch or wider sling swivel or mount.